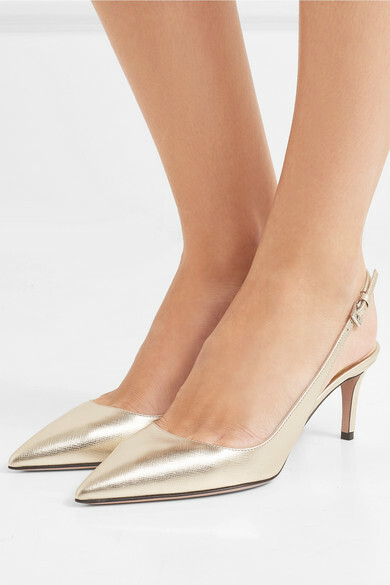 As well as being an obvious choice for evening, metallic pumps are a great option for brides in search of something a little different. 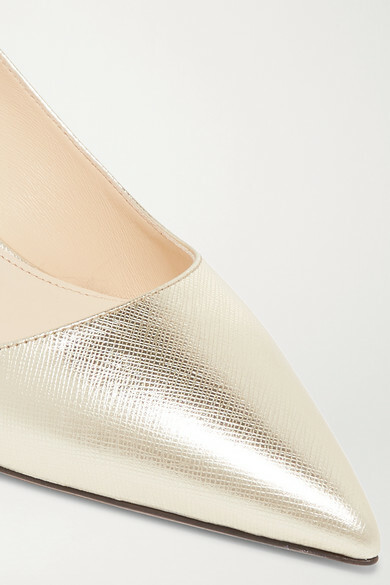 Made in Italy, Prada's light-gold pair is made from the Italian brand's durable saffiano textured-leather. 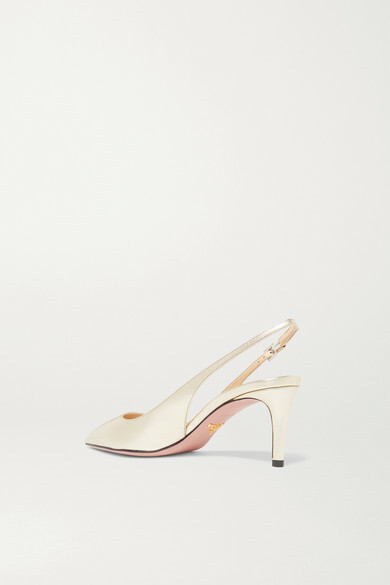 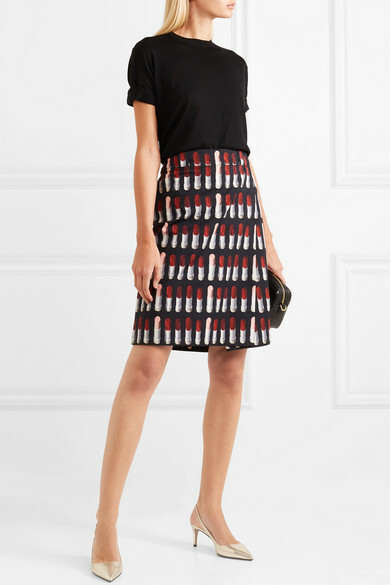 They're set on slim kitten heels and have buckled slingback straps.